With the advent of Bitcoin in 2009, the popularity of cryptocurrencies has increased in the past few years. ZCash is one such cryptocurrency and comes with a decentralized blockchain that ensures the need for privacy for its users. 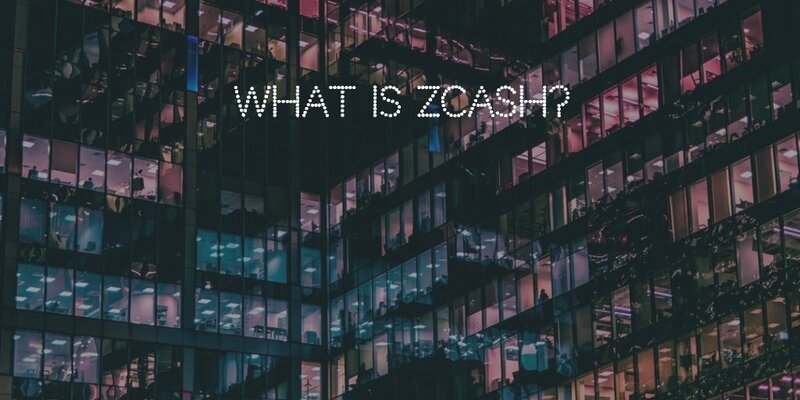 In this article, we will understand what ZCash is and discuss its technology and features. With the 2018 surge in the value of cryptocurrencies, Zcash has also seen a huge increase in its value. Currently, the cryptocurrency is ranked 23rd in the market with a market capitalization of around 1.3 billion dollars. At the time of writing, each of its units was worth around 279 USD, Zcash was started in October 2016 and has undergone a steady increase in its value since then. Total circulating supply of zcash is 21million and it is traded with symbol ZEC on most of the exchanges such as Binance, HitBtc, Poloniex etc. Despite being one of the newest cryptocurrencies in the market, Zcash boasts of an active social media presence and a good team of developers working behind the scenes to make the cryptocurrency bigger than it is right now. ZCash (ZEC) is similar to Bitcoin (BTC) in certain ways (for e.g. the open source feature) but what makes ZCash unique is the privacy and fungibility that comes with it. With the advancement of technology and informatics, accessing big data became less time consuming and easier, and thus this feature of ensuring privacy becomes most relevant to today’s needs of cryptocurrency users. Some cryptocurrencies like Dash and Monero are similar to zcash in that they provide complex anonymization techniques that obscure transactions and the parties involved in those transactions. What this translates to is that even though all transactions are recorded on a blockchain, the transactions are encrypted and can only be viewed by users that have been given access to them. The Zerocoin protocol was improved and transformed into the Zerocash system, which was then developed into the Zcash cryptocurrency in 2016. ZCash was founded by Zooko Wilcox-O’Hearn. The aim was to address an open financial system with the privacy feature that internet users wanted. Bitcoin is largely considered to be the front-runner in the open financial system. ZCash seeks to maintain the same system but restructured with privacy and fungibility. How ZCash works is that it makes use of a cryptographic tool known as Zero-Knowledge Proof with which two users can transact without either party revealing their addresses to the other. This tool makes ZCash transactions untraceable on its blockchain by obfuscating the addresses of both parties and the amount involved in each transaction. This makes tracing the parties’ addresses nearly impossible. This is unique from Bitcoin and many other blockchains which lets a user view the amount transferred from one’s actual public address to another. Zero-knowledge proof also provides an advanced level of fungibility since one user cannot access the other’s public address or payment history and so does not have a reason to reject the former’s coin payment. For securing the network, Zcash uses a special proof known as zk-snark – or proof of construction. This permits the network to maintain a secure ledger of balances and at the same time maintain the anonymity of the parties or amounts involved in the transaction. This happens through the use of zero-knowledge proofs. To talk of ZCash’s usage, it is not for cybercriminals who engage in illegal transactions on the dark web. There are a host of valid reasons for a user to opt for anonymous cryptocurrencies like ZCash. Zcash is a privacy-based cryptocurrency that was developed to respond to the various security-related flaws of Bitcoin. The technology makes use of zero-knowledge proofs to validate the transactions without releasing additional information about the parties that are involved in the transactions. Although it uses the same algorithm that Bitcoin and other major cryptocurrencies employ, Zcash trumps them when it comes to security due to its semi-transparent processing. ZCash has caused a lot of controversy over its method of distributing the cryptocurrency. Much of it has been due to its active social media presence and the attention that it garners. The organisation is not set up as an opensource community but as a Company. This is the first major difference between Bitcoin and other cryptocurrencies such as ethereum. Zcash rewards investors and workers in the company by a tax on mining reward. It is called as "Founders reward"
But, can ZCash become the next Bitcoin (BTC)? Of course, we are not looking at it only in terms of price movement and growth. Other key factors such as adoption as a store of value and payment currency are also important. This is why BTC is valued today. The upcoming Zcash hard fork is targeted at making the cryptocurrency more user-friendly and additional benefits for the community. Before the hard fork scheduled for June this year, an earlier release of a network update called Overwinter is helping the network to prepare for future changes. The purpose of this was to enhance performance improvements in privacy and speed. Version 1.1 codenamed “Overwinter” announced on March 2. It is a required upgrade for the network that is not backward compatible, making it a “hard fork.” The network launched with version 1.0 codenamed “Sprout,” and the next upgrade will be version 2.0 “Sapling” with a release expected in July. Overwinter update will bring multiple improvements in terms of performance for transparent transactions, replay protection in the case of network upgrades, versioning, transaction expiry (which closes transactions queued for over an hour), and many others. The update is mostly aimed at paving the way for “Sapling”. Let us know in the comments below what you think about the ZCash. Do you think the Overwinter will enable ZCash to become the next pioneer after Bitcoin, or is there a long way to go before that happens? Or is it one of the cryptocurrencies that are going to lose its sheen in the ever bludgeoning cryptocurrency market? Anubhuti Maithani is a a law student and a technology enthusiast. She is most passionate about Artificial Technology, FinTech, Start-ups, Blockchains and likes learning about new technologies. She also likes writing, reading, and binge- watching F.R.I.E.N.D.S. when she is not chasing her law school deadlines. She is writer at TechSutram. You can contact her at our contributors' section.Opinions expressed by techsutram contributors and partners are their own.